Today Its about Bitdefender total security 2012. We all know that life on the Internet is not safe and easy. There are tonnes of viruses and spy-wares that are trying to creep into your computer while you surf through every page. So such circumstances demand a lot of security for better browsing and online experience so you need to have a really good security software to keep you safe over the Internet. The brand new answer to all these problems is the BitDefender. BitDefender is an antivirus software developed by Romania based software company called Softwin. Their products include antivirus and anti-spy-ware,better firewall protection, privacy control and backup for companies and home users. BitDefender is an amazing piece of work that protects you everytime you are attacked by such malwares and viruses that make you vulnerable on the net. 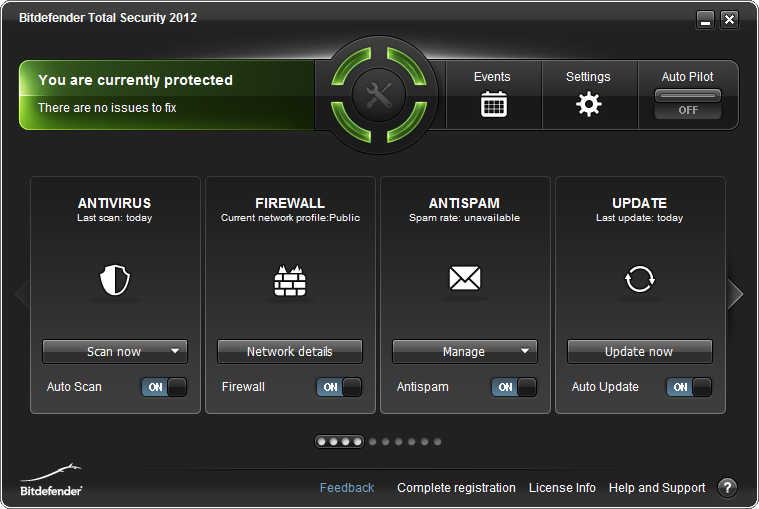 BitDefender confirmed its release of the latest version of Total Security 2012. Bitdefender Total Security 2012 offers greater protection from the growing number of attacks and threats online today. 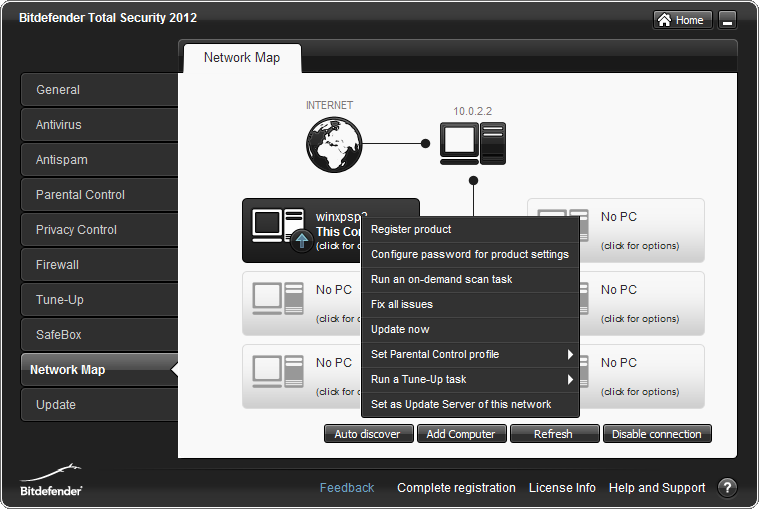 Total Security 2012 has its new features that makes it notable and exciting. Social Network protection, Autopilot mode and the Scan Dispatcher more are the new features that make BitDefender more interesting. Though the Romanian based company have been pretty busy adopting to a new logo, the Dacian Draco, a wolf headed dragon that is is believed to have been used in ancient times to strike fear into the eyes of its enemy. Just like the new logo, the new BitDefender offers such aggressive security against threats and attacks. For those of you all who have used the older versions of the BitDefender, you might feel a bit lost because the new BitDefender has a brand new interface that has drag and drop modules that allow its users to perform the functions more conveniently. The BitDefender’s “Safebox” makes sure that all of its users important files are safe and secure and it immediately backs-up all the data for restoring whenever changes are detected. Every user is entitled to 2 GB of free storage. The “rescue mode” is another function that allows its users to boot their computer up in an ultra safe mode rather than “safe mode” on windows. Lets talk about online security on social networks such as facebook. BitDefender offers the new “safego” function for effective link scanning for facebook. If you aren’t aware of hackers that stalk you in search of your passwords and access to your private information.BitDefender also protects you from phishing and cookie-stealing and keeps you almost invulnerable on the internet to hackers. 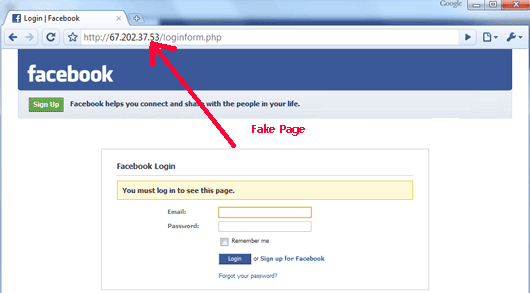 Have a look at the following(fake) facebook page that is used to “phish” passwords of innocent users by redirecting users to suspicious links. Looks like an ordinary login page isn’t it? have a look at the address bar(its not www.facebook.com). It points to an online database storage site where your passwords are sent to when you enter your details. Such attacks can be evaded by the use of BitDefender. BitDefender has revealed that they are working on similar support and features for twitter. One more interesting milestone by BitDefender is that they have cut down the installation time by 50% when compared to previous versions.But there is no difference in the size of the software as a whole. Though blocking and removal of malwares seems to be pretty lengthy process, it is very effective. I’d like to conclude that, BitDefender is not the cheapest security solution but it does have a lot to offer.It is definitely a thing you need to bag, its anti-phishing feature, super silent auto-pilot mode. Maybe you haven’t changed much, but the hackers have changed, they are always onto you and so is BitDefender protecting your back from threats. STOP Viruses and Spyware Cold. Create Shortcuts for your easy use. Play Games in a Secure Way. You can visit the official page of Bitdefender to check more information on BitDefender 2012 Total Security. Just check the link below if you want to try it out for free . Great detailed post Pranay! keep sharing such post over here! Pranay, great post! You have provided a detailed explanation about BitDefender. Looks like this is a great antivirus software since it can protect us from harmful scripts on social networks and etc! Good stuff indeed.